Pittsburg Landing was a place at peace-one that never expected to be the site for one of the bloodiest battles of the Civil War. Peace is shattered as Confederate and Federal troops meet on the fields and farms surrounding a tiny Methodist church. In the midst of death and destruction, friendships form as four soldiers struggle to survive the battle. 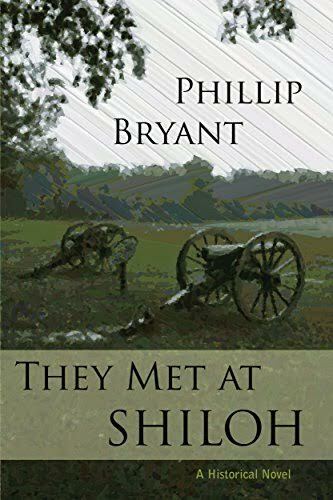 Forced to leave his position as minister, Phillip Pearson knows his life is in danger, but not just from the Confederates. The Harper family, incensed at Pearson's refusal to bury a philandering son, has a vendetta against him that is played out on the battlefield. Demoted from his command by a West Point graduate, Capt.Michael Greirson is forced to choose between ambition and duty. When a bumbling youth becomes his shadow, Private Robert Mitchell gains an unlikely friend-something that has been missing from his life. Afraid to trust, he is forced to confront those fears and depend on others in the heat of battle. War is an adventure to Private Stephen Murdoch and his best friend, William Banks. For months they dream of the glory of war before volunteering together. On the eve of battle, they sense something momentous is about to happen. Their idealistic views fade in the blood of their fallen comrades. Of the 40,000 Confederates and 30,000 Federals about to come face to face along the banks of the Tennessee River, these four soldiers will experience fear and questions of faith for what lies beyond.